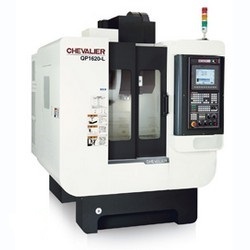 * This vertical machining center is designed and built to meet the ever-increasing demands for high efficiency and high accuracy machining, such as molds and dies production, and other applications that require a powerful and reliable machine. * Rapid on (X/Y/Z) Axes:48/48/36 m/min. (1890/1890/1417 IPM). * Tool change time:T-T : 1.0 sec , C- C : 2.0 sec.